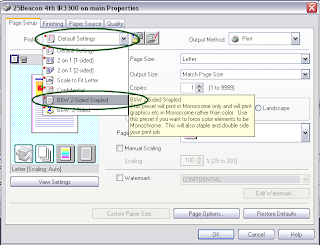 For those times when you wish to save ink and paper Mark asked if we could create a couple of print profiles. They do indeed exist: as “B&W, 2-sided" and "B&W, 2-sided, stapled". Things are fairly simple, the first prints in black and white only on both sides of the page, and the second does the same with the addition of stapling the pages together. 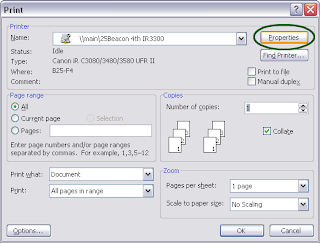 Then Press Ok and Print.